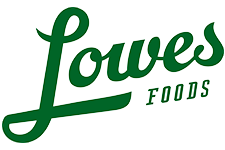 Here are the Lowes Foods Unadvertised Deals 4/22-4/28. Get deals on Old El Paso Taco Shells, Beech-Nut Baby Food plus some nice Closeout deals too. Buy (3) Kellogg’s Frosted Mini Wheats, Crispix or Raisin Bran Cereal, 15-23.2 oz, $3 And Save $3 Instantly at Checkout! Buy (1) Playtex Tampon, 18 ct., $5.79 And Get (1) Carefree Liners 20 ct. FREE!